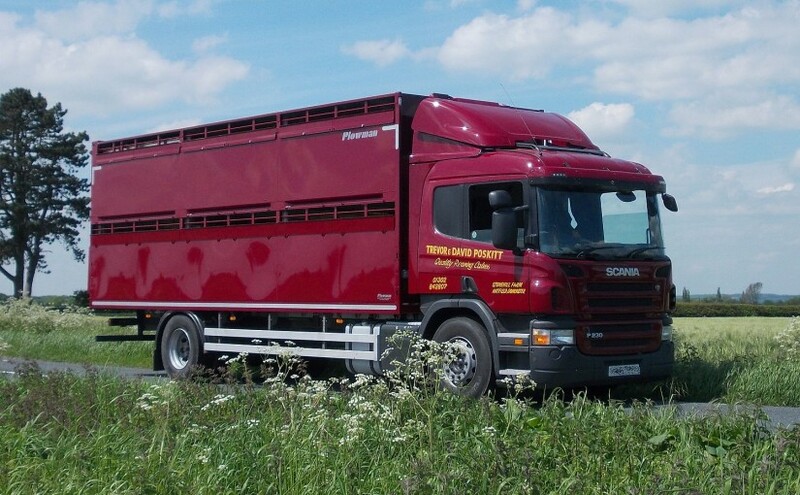 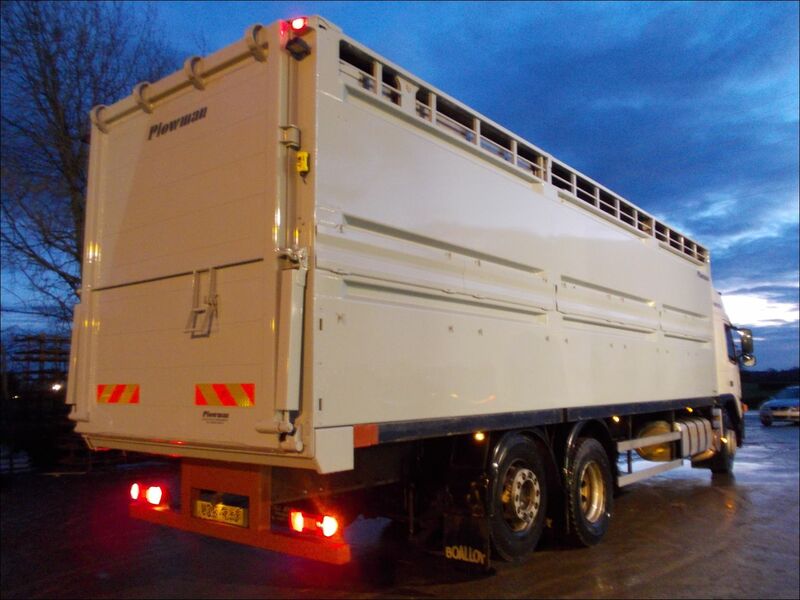 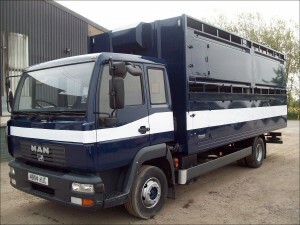 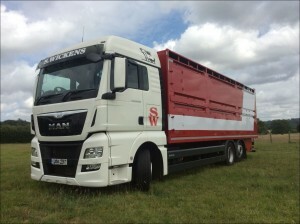 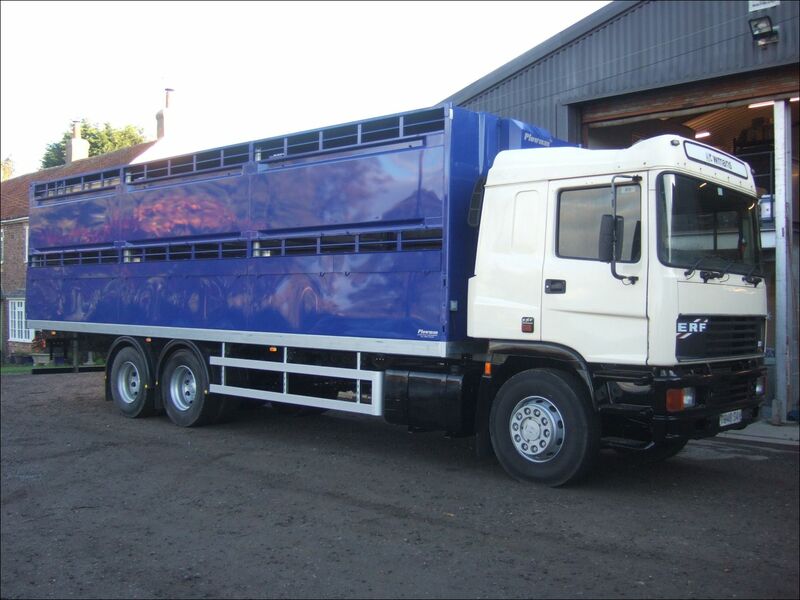 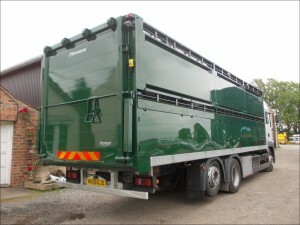 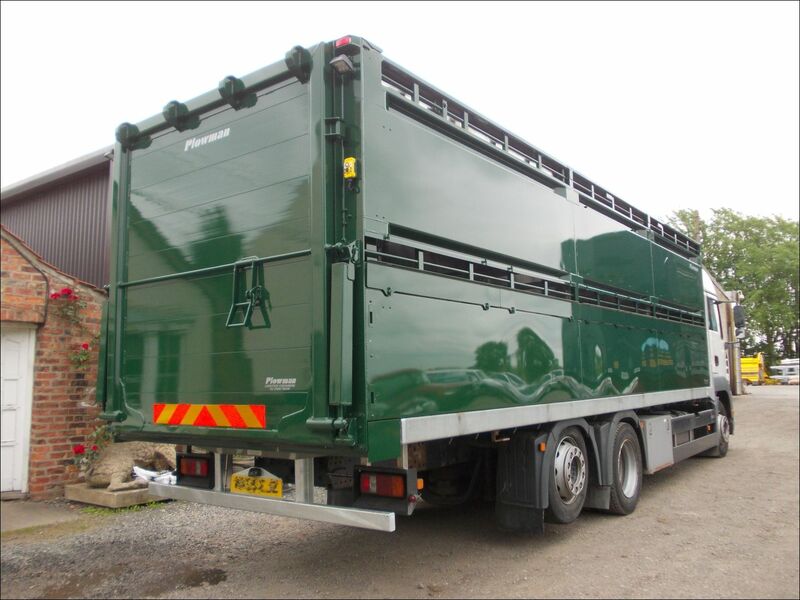 Plowman two deck aluminium livestock containers. 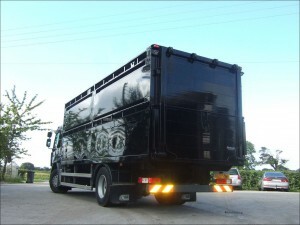 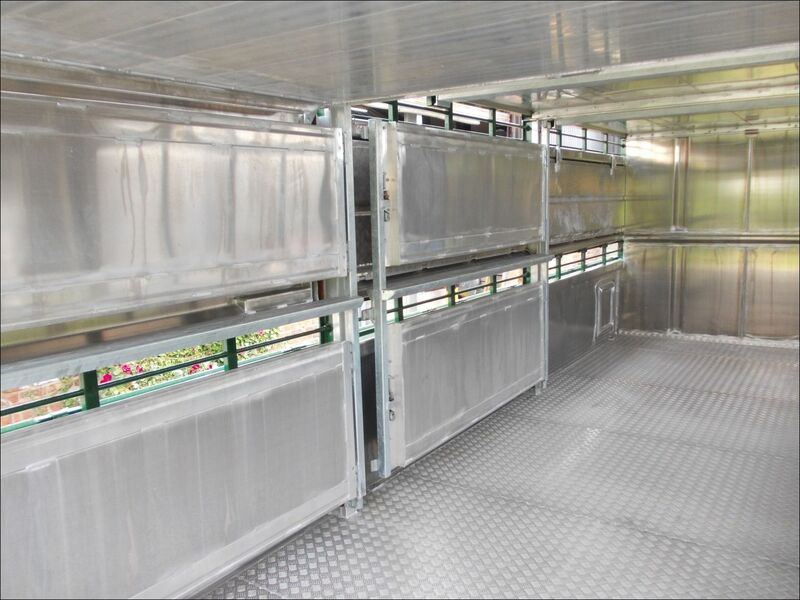 To suit rigid platform body, artic or drag trailer, or build directly to chassis. 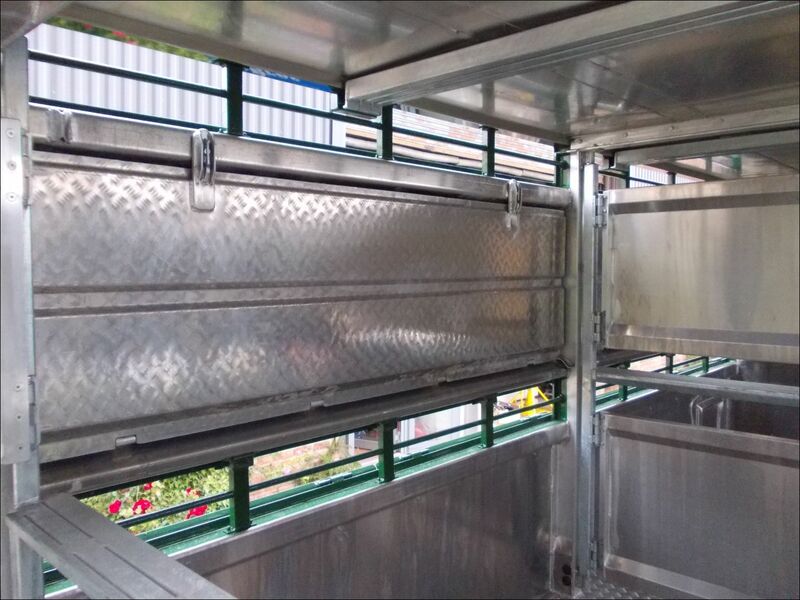 Hydraulic fly to roof ramp in rear section, folding aluminium decks in front sections. 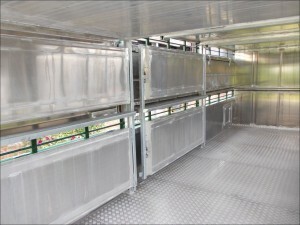 Pressed aluminium construction. 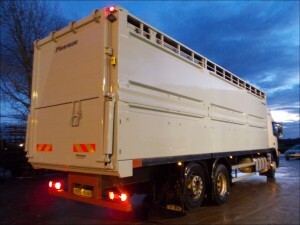 ‘H’-Frame slam shut gates. 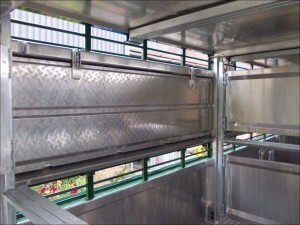 Lower vent flaps as standard, upper flaps optional. Semi-automatic cattle gate locks and slam locking sheep gate locks. 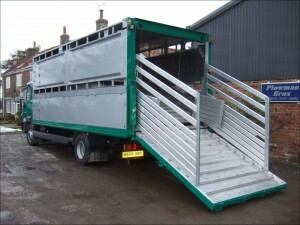 Aluminium plank loading gates with galvanised steel ends.